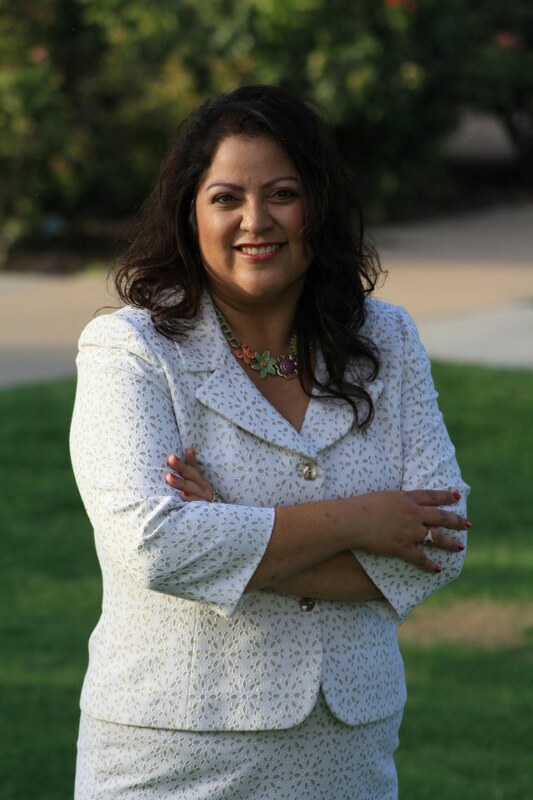 Roxanne "Roxy" Lara is the Democratic candidate in the race for New Mexico's 2nd congressional district. It's the district with the highest share of Latinos not represented by a Latino. In the southern half of New Mexico, Democrats are trying to unseat a conservative white Republican who keeps winning re-election in a majority Hispanic district. The incumbent, Rep. Steve Pearce, opposes a pathway to citizenship for immigrants illegally here; voted to remove deportation deferrals for young immigrants known as DREAMers and supported the government shutdown, even though Pew Charitable Trusts ranked New Mexico the state most dependent on federal spending. In a book released last year, he asserted women should be submissive to their husbands. For now, Pearce has a good chance of being re-elected once again. The candidate Democrats hope will buck the projections is Roxanne “Rocky” Lara, a fifth generation New Mexican whose nickname recalls the fictional boxer from the 1976 movie whose theme song is the motivational tune for underdogs everywhere. Although Lara says she tried as a young professional to shed the nickname given her by one of her uncles, her friends thought it fitting for the tough litigator whose work focused on abused and neglected children. The district’s population is almost 52 percent Latino but it is not solidly Democrat. “It is so important for the people in our district to have some change and this is the year to do it … His (Pearce's) vulnerability is very high. He's never had to run against someone like me," said Lara, who said she owns a pair a boxing gloves but hasn't done more than a little bit of kickboxing for exercise. The district’s population is almost 52 percent Latino but it is not solidly Democrat. President Barack Obama lost the district in 2012, getting 46.5 percent of the vote. But Sen. Martin Heinrich, a Democrat, won the area in his Senate bid that year. Pearce was first elected in 2002, and held the seat until 2008 when he ran for Senate and lost to a Democrat. But he won his House seat back in 2010 and was re-elected in 2012. The key is showing up - everywhere, Pearce said. He traverses the district that covers about two-thirds of the state, making himself visible at home and not being seen as “just someone up in Washington,” he said. “I just go out to every community. In some places I’ll be the only English speaker or the only Republican,” said Pearce, 68, of Hobbs. Pearce said he doesn't carry the message of the bigger party, but instead sticks to his conservative principles against increased taxation and bigger government and holds town halls in "non-traditional Republican forums" to discuss complex federal issues. He planned to do a debate at a League of United Latin American Citizens event this week, he said. "I go to areas where people may not agree with me, but get respect for doing that," said Pearce. But Lara, 39, is portraying Pearce in her campaign as out of touch with the district, pointing to his voting record and a controversial passage in his memoir in which he wrote "the wife is to voluntarily submit, just as the husband is to lovingly lead and sacrifice." Pearce said the passage has been taken out of context. "He's part of the mess that's happening in D.C.," she said. "This is a majority Hispanic district, everywhere I go people are talking about comprehensive immigration reform. It's not just a Hispanic issue, business owners, educators," she said. Pearce said he's against "amnesty." He said the border must be secured first and once that is done fix the legal immigration system with a guest worker program. A legalization program would be unfair to those who have followed the law, he said. Pearce is ahead in the money race, which is usually the case for an incumbent. He raised $1.2 million from January through the end of March. Lara had raised $571,983. Gabriel Ramon Sanchez, a political science associate professor at University of New Mexico, agreed that Pearce is vulnerable and his immigration views won’t serve him well. But he said Lara is hurt by Obama’s low approval rating that is expected to depress Democratic voter turnout. Lara’s mother was a meat wrapper in a grocery store for 24 years. Her father started out in the potash mines, became a firefighter and ended up working for 26 years doing fire safety in the oilfields. She is the youngest of three children, all of whom attended New Mexico State University in Las Cruces. Pearce is the third of six children also from a working class family. His father was a roustabout, which does maintenance work in the oilfields, and his mother was a Spanish teacher. He earned an economics degree at NMSU and a master’s in business at Eastern New Mexico University. He is a decorated veteran who was a combat pilot in the Vietnam War and also owned his own oilfield services business with his wife. To beat the odds, Lara will have to rewrite the script of her nickname character. In the first movie Rocky Balboa goes the distance with champion Apollo Creed, but Creed is ultimately declared the winner on a split decision. It’s not until the sequel that Rocky wins the heavyweight championship.